And now comes the first medi spa in Manhattan wholly dedicated to strengthening and grooming a woman’s genital area. Phit, short for “pelvic health integrated techniques” is to open this month on East 58th Street. 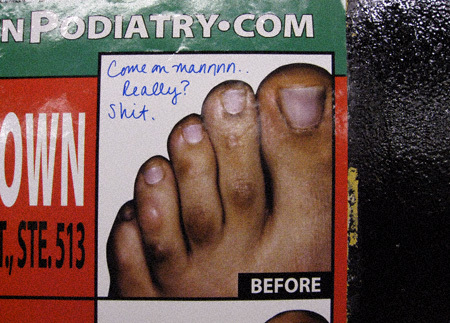 With all the explicit and downright gross advertisements to be found in/on our rapid transit system nowadays, I suspect (or more accurately, hope) it is only a matter of time before we find ads for Phit gracing the platforms along Lexington Avenue line. P.S. : Special thanks go to Queens Crap for bringing this gem to my attention. It was just what I needed to get motivated today.